It is stainless steel. 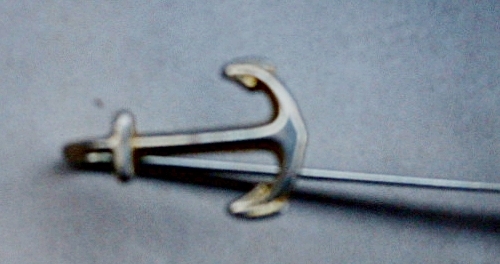 Shaped into a hook. The longest section looks almost like the part of a pair of spectacles which goes over the ears because it is flat and not rounded.